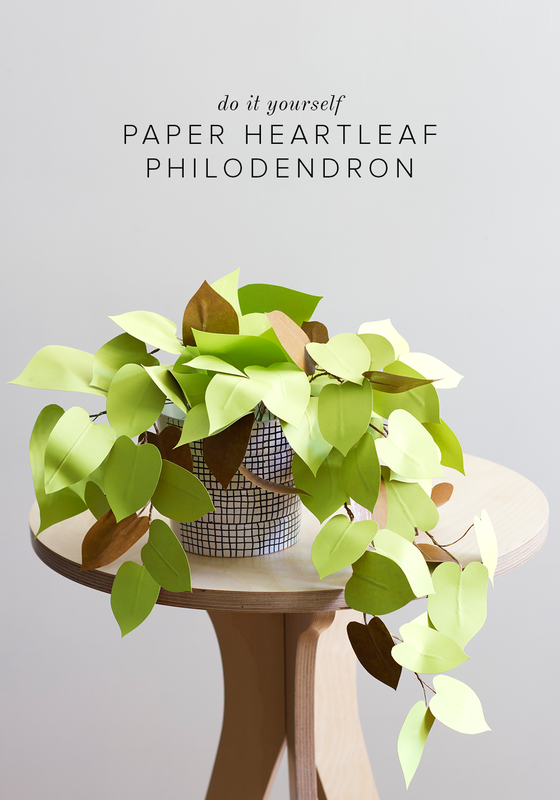 Philodendrons, an expansive genus of plants home to many favorites from the gorgeous giant split leaf to the more delicate moonlight, are popular as houseplants. These lovable beauties however require lots of sunlight and varying degrees of TLC. My bedroom window, which faces a fire escape and an alley, just does not provide that kind of light. 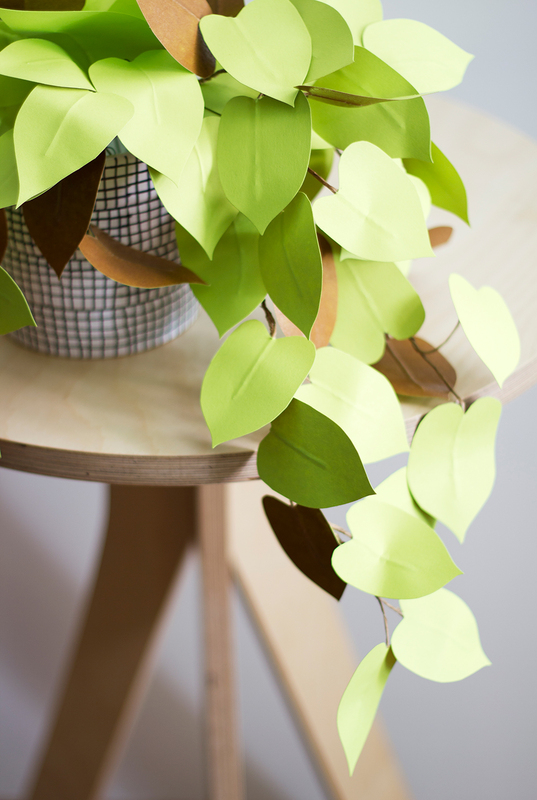 I have long needed a touch of green to brighten the space… Welcome, paper heart leaf! Even the name, “heart leaf” endears me to her. I crafted this dear-heart-leaf in an afternoon! You can too, follow along to learn how. 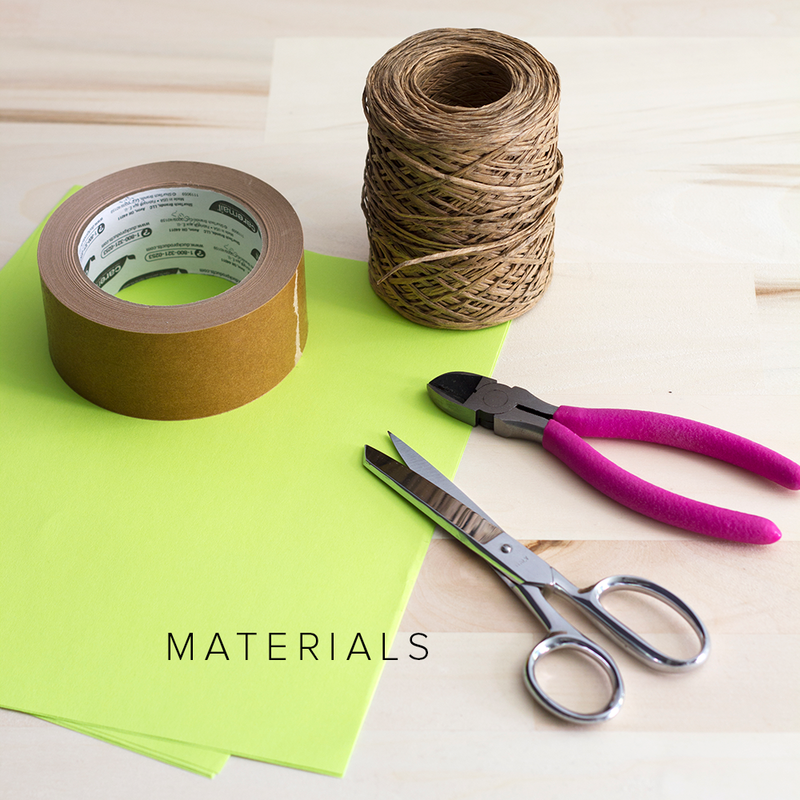 Cut a length of wire at about 5” and use the brown paper tape to adhere it to the green paper, leaving a “stem” sticking out. 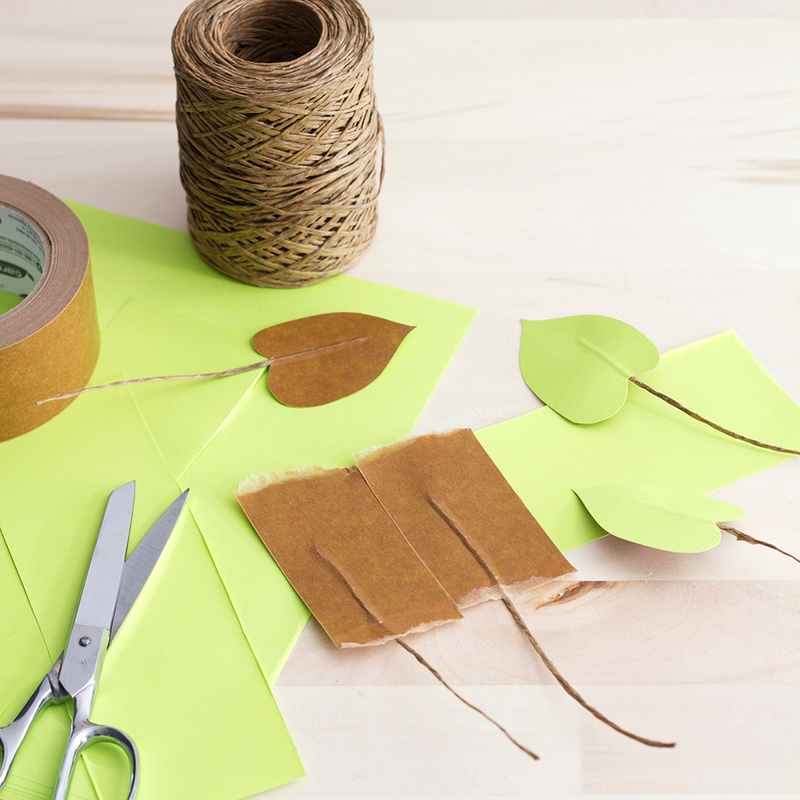 Cut around the wire/stem in the shape of a heart to create each leaf. 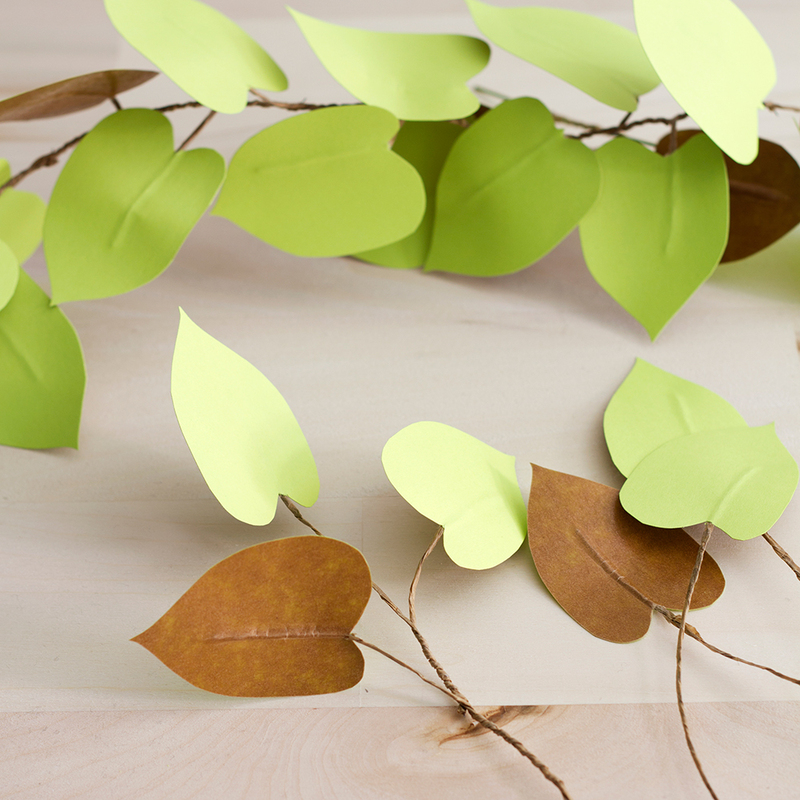 Once you have crafted multiple leaves, twist their stems together to create vines. Make several vines at varying lengths. Fill your pot or vessel with foam and insert the wire steams into the foam and arrange the vines to create the plant shape. I opted to have my vines longer on one side. Finish by shaping the leaves in slight curves and angles. Tah-dah you’re done!